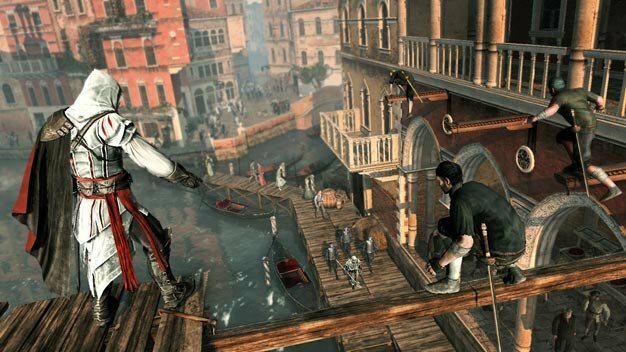 A gaggle of hackers, known as SKIDROW, have dealt a lethal blow to Assassin’s Creed II‘s contentious online-only DRM, bypassing the piracy curbing system a mere month after the game was released on PC. Ubisoft’s latest DRM endeavor has come under much scrutiny since its implementation, often regarding server side complications that render the singe-player only game unplayable. A cracked version of a certain game featuring assassins and/or creeds is currently floating around the torrent scene; meaning the only people currently being bummed by any niggles in the DRM are legitimate users. Great.